The Mercedes-Benz C200 was a long sought-after car on my books. For a few reasons. I had previously driven the predecessor out to Western Sydney for a themed birthday party where I dressed as The Joker (see the photo on my SLK review), and whilst I was quite impressed with the previous C200 as a ‘base model’ to the Mercedes C-Class range, I was looking to purchase the new AMG C63 at the time and wanted to drive the new W205 build. After I discovered that Europcar had the new build in their fleet, my booking attempts were futile. I desperately tried to drive the C200 on several occasions, failing at each attempt. Instead of landing the C200 on my previous bookings, it was otherwise unavailable at the point of collection and instead I was delivered an SLK convertible on one occasion and the Volvo XC60 on another. Despite their annoying (un)availability, Europcar really has a solid fleet of interesting drives. I hope the former will change with their new guaranteed Selections. Putting aside availability for a moment, one of the most frustrating aspects of renting a prestige car is that you typically have the base spec. I know what you’re thinking: Yes Todd, it’s a rental why would you expect anything more? I’ll riff on the implications of delivering a base model prestige car into the rental market at the end of this review. 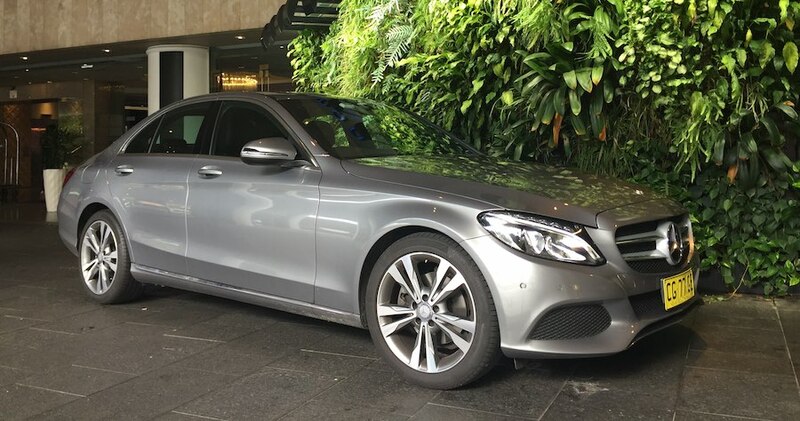 For now, let me talk specifically about the Mercedes-Benz C200 from Europcar. From the weight of the doors, to the aluminium and leather finishes, this car packs a punch for build quality. That’s not to say it was perfect. The key takeaway: this is the entry-level C-Class. It sure doesn’t feel like an entry level to me. This review was planned to be for the Mercedes-Benz CLA200, in my opinion one of the best-looking sedans in the entry-level prestige market. I made my booking and saw the screen that was all too familiar. I had been previously caught out booking the same car in Melbourne. My email address was ‘entered incorrectly’ (I’m blaming their system, not my fat fingers) and I never received a notification. Whilst I thought I had a car booked, it turns out they sent a ‘cancellation notification’ to my email. That was an interesting day in Melbourne Airport. Learning from my lessons, I called up two days after making my booking. It turns out that the same thing happened. The car wasn’t available and if I didn’t call to confirm, I would have been car-less upon my pickup. The customer service agent confirmed that she couldn’t tell me if the CLA would or would not be available, however the C-Class could be confirmed. I booked it. 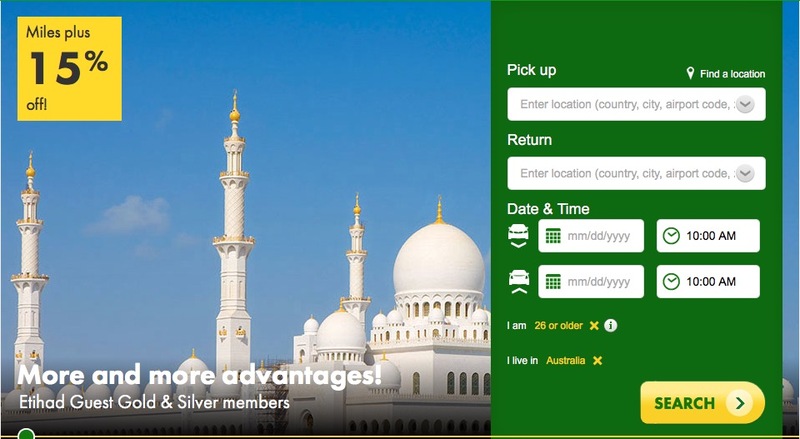 Book the Europcar Selection vehicles in advance and call up 24 hours later. Their website now states that you will be guaranteed the car and it will be confirmed within 8 hours. It was 5pm on Friday afternoon. I was working out of a client’s office during the day — a two-minute walk to the Sydney City branch of Europcar in the Pullman Hotel. Walking in, confident in my diligent planning attempts, I present my drivers licence and Amex card to the customer service attendant. Queue chuffed smile. Okay sir we have a Renault Koleos for you today. From this point on, I have to note that the staff at the City branch were outstanding. She took me for a walk down to the garage to physically see what cars are available, dirty and clean. It turns out there was a sweet Mercedes-Benz E-Class Sedan but it had already been rented out and paid for by a gentleman earlier in the day. No other Mercedes were in sight. Back upstairs, I suggested that I would be willing to drive to the airport to collect the car if they could guarantee me one there. However, I noted that I would like to be upgraded to an E-Class, just for the hassle. With a bit of back and forth, we agreed that I would take the Nissan Micra — the most hilarious, smallest and beat up car in their fleet and drop it at the airport before they closed at 11:00pm. I specifically requested that I could swap it later that evening as the peak-hour traffic around 6pm, along with airport arrivals, would have been mayhem. Whilst the younger, more eager, and stupider me would have left immediately, I now know better. A shout-out to the managers of both branches. The manager from the city branch ‘Maz’ gave me his personal mobile number and told me that I could call him any time in the night if they wouldn’t give me the E-Class. He would sort it out for me. The manager at the Airport, a face I remember from previous pickups, actually volunteered to give me the E-Class and walked around both cars with me to compare which would be better. As the E-Class was the older facelifted W207 and not the new 2016 W213, I opted for the newer C-Class. The E-Class just looked like one of those older Mercedes-Benz interiors I whinged about in my review of the SLK200. It turns out the new ones are on their way. It was 10:30pm when we were done. Despite being late at night, the airport pickup was as slow as expected. No surprises here. 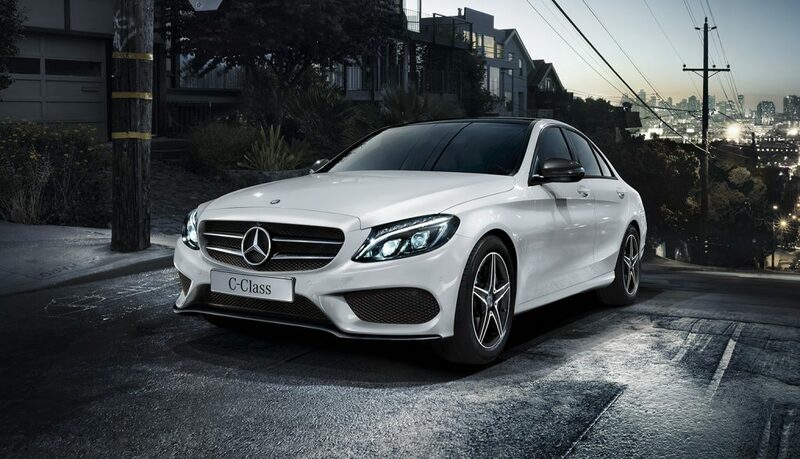 The first thing you’ll notice in a C-Class is the refinement of the drive. There is very little engine or road noise, smooth power delivery through each gear change in the 7G-TRONIC PLUS transmission, and the subtle hint of blue, orange or white interior lighting is a classy touch from the S-Class. If you’re not used to prestige cars, you’ll feel like you are underdressed. We decided to head two hours south of Sydney to visit my parents on the following day. On the open roads, the C200 is a pleasure to drive. It’s definitely not a sports car, but doesn’t hesitate to shift down, add turbo boost and power up a hill under cruise control at 110km/h. I should note that the 2.0L engine would struggle if you had four adults and luggage. During our 377km journey we averaged 7.6L/100km. For shits and giggles, I took my dad for a drive on the infamously bumpy Swamp Road in Jamberoo, NSW — dairy country. It’s a brilliant road for testing cars. Little traffic, good visibility, long straights, tight corners, smooth sections and bumpy sections. At the end of the road, you have a mountain (Saddleback mountain) to climb up. We gave the engine a harder run, tested the breaks, and most importantly, tested the comfort levels on a typical Australian country road. Whilst the 135kW / 300Nm engine isn’t weak by any means, it doesn’t feel like a performance engine. Setting the Agility Control to Dynamic stiffens up the suspension, speeds up the gear changes and lets the engine rev that little bit higher. Whilst it doesn’t turn the C200 into a sports car, it does have a noticeable difference on power delivery and suspension stiffness. It’s worth noting that the performance of this engine with 30Nm extra torque and Agility Control plays a noticeable difference compared to the 1.8L engine in the SLK with the same power. What did we learn from our experiment? The Mercedes-Benz C200 feels breathtakingly safe in a wide range of conditions. This was unexpected. From the comfort mode gracefully soaking up the bumps, through to the dynamic mode forcing the wheels to maintain maximum traction under full power around a tight corner, the C-Class was an enjoyable driving experience no matter what road conditions we could throw at it. On our way back to Sydney, we ran into torrential rain. This was the sort of rain where you can’t see any road in front of you at 60km/h. Whilst most cars were pulled over on the motorway waiting for the weather to pass, cool under pressure, the Benz cruised straight through terrible conditions. I’ve never felt this sense of confidence and safety in a car before. When people talk about safety I generally roll my eyes. ‘All cars are generally safe’, I think to myself. ‘It’s bad driving that causes most accidents.’. After spending a few days in the C-Class, I had the euphoric experience of feeling like I could do no wrong. Or if I did, the car had a way of saving me. The list price for the C200 is just over $60k without any options, well below the $75,375 luxury car tax threshold as a fuel-efficient car. Add every option possible to this car and you’ll just pop over the threshold. 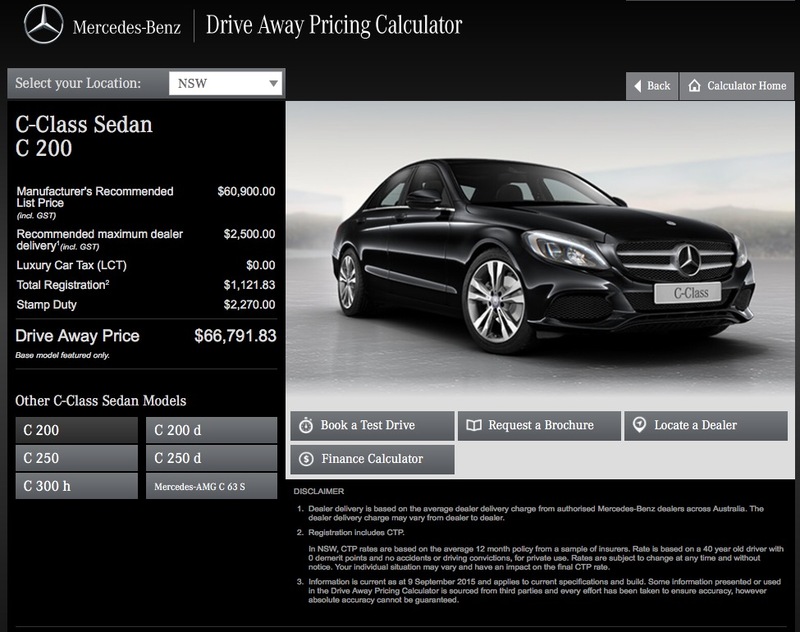 If you were to upgrade to the C250 in either diesel or petrol, you’ll be close on the $70k mark before options. The standard 7″ infotainment screen looks like a cheap aftermarket accessory rather than an integral part of the entertainment experience. I would upgrade to the ‘COMAND Package’ with an 8.4″ display and Burmester 13-speaker sound system. I’ve previously mentioned how important a good sound system is for me and Burmester is among the best. It’s an absolute no-brainer for the price. The seats in the C200 were reasonably good. With exception for the Volvo XC60 which were outstanding, the seats in the C200 were probably one of the best available for Australian rental vehicles. I could reasonably travel for 300-400km without too much discomfort. The six hours from Sydney to the NSW snowfields might be a bit too long for the standard seats. If you have read my other reviews, you’ll know that uncomfortable seats are a common bugbear of mine. It’s really hard to go back after you’ve had comfortable seats. Upgrading isn’t as straightforward as you might think. There is an option for the C-Class called the ‘Seat Comfort Package’ however it doesn’t actually give you better seats and instead gives you heated front seats with more adjustment. To upgrade the seats you need to lock down the AMG Line package. Personally, I don’t like the idea of speccing up a base model C200 with the package that makes it look like an AMG C63. It’s a bit too much show for a relatively underpowered car. But if that’s your thing, then you can fork out the $3,454 for the upgrade with a bunch of goodies inside. Whilst I wouldn’t upgrade to the AMG Line package to make my 2.0L C200 look like an AMG C63, I would opt for the ‘Exclusive Package’, which adds upgraded leather in Black or Beige/Brown, replacement of the vinyl surfaces with more leather, wooden and silver chrome trim and a beautiful analogue clock int he centre dashboard. Classy. This would be a $1,531 well spent. Whilst I loved the sunroof in the older C200, I had the experience of hiring a Peugeot 2008 with a panoramic roof whilst driving around Europe during 2014. The visibility and natural light really opens up the driving experience. Whilst this option is a bit more pricey, my feel is that it will enhance the resale value through uniqueness. But really, it just looks awesome. Add another $3,454 if you’re convinced. If I had to choose, I would go with just the COMAND Package and Exclusive Package for $3,831. Let’s take a moment to talk about base models. I don’t blame the rental companies. They are simply looking for consistency across their fleet and the highest yield per car. Optioning the Mercedes C200 or Audi Q7 simply doesn’t come into play as consumers don’t really have any other options for prestige rentals. What about the manufacturer? As I previously wrote in my Mercedes A180 review, my view was that the rental car degraded the Mercedes-Benz brand for a new-time renter expecting $89 per day will land them into the same car that they read about online and watch on Youtube. The base A-Class is average. Indeed, the prestige manufacturers should be thinking about the brand impact of sending a base model car to the rental market. The two examples that come to mind are the Mercedes-Benz A180 at Europcar and Audi Q7 at Hertz. Both cars could have been so much better than the models provided. There may be an exception. 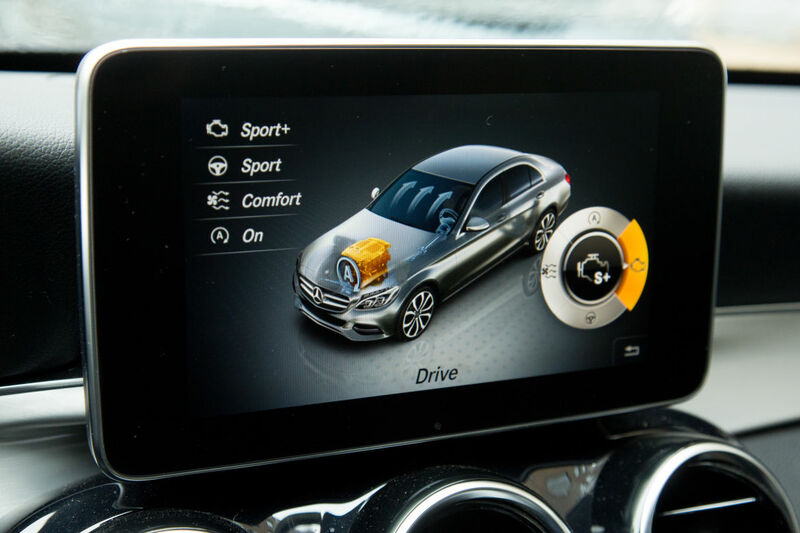 Europcar have just announced an upgraded CLA200 with an ‘AMG’ package. I’m not sure if this is the AMG Exclusive interior package or AMG Line performance/exterior package. We’ll soon see. Stay tuned to Ride Hacks to find out. Here is a video rundown of my C-Class experience. It took some serious planning to get my hands on the C200. It was worth it. The C200 was one of the only cars that I missed after handing it back. It would be an outstanding car as a daily driver. For me, it’s currently on-par with the more expensive Tesla Model S.
Whilst the Model S should be more appropriately compared to the AMG C63 S, both of these cars hold equal footing for cars I’d be proud of owning. Fancy driving the Mercedes Benz C200?